Joshua Garrett / Darkfyre a.k.a. 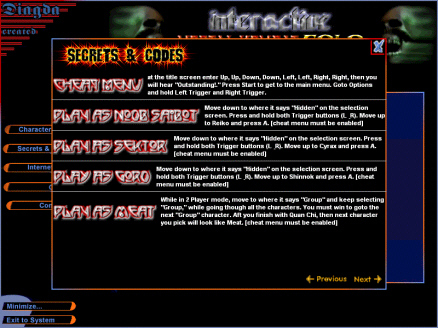 Diagda Creations <el_nino@oklahoma.net> programmed an interactive guide for Mortal Kombat Gold. 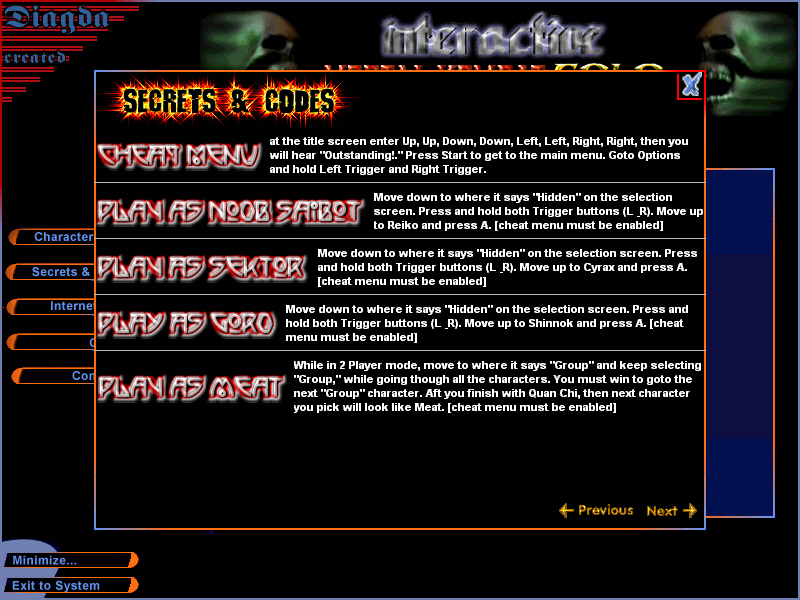 He has since shut down Diagda Creations, but fear not - you can still download the guide here. Just remember that since Diagda Creations has been shut down, there is no support for any problems you might have with it. You can also check out the Diagda Creations website from time to time to check for updates (though at the moment it seems doubtful).